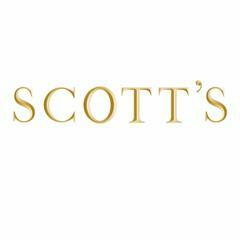 Scott’s is located in Mount Street, Mayfair. Open from midday, the restaurant offers terrace dining and cocktails in Mayfair. The menu reflects its glittering heritage, serving the finest traditional fish and shellfish dishes alongside a variety of meat and seasonal game favourites in an atmosphere of urbane sophistication. Oysters, served at the elegant oyster and Champagne bar, are a house speciality.<br><br>Seasonal dishes from the A La Carte menu are mirrored in the Private Room, which is currently decorated with a rolling collection of art curated by Sadie Coles HQ and Timothy Taylor Gallery.